Were the Judahites really weeping by the rivers of Babylon? The Babylonian Exile that resulted from King Nebuchadnezzar’s sixth-century B.C.E. capture of Jerusalem has traditionally been portrayed with the Judahites lamenting their circumstances. But the textual remains left by the Babylonians and even some Judahites may reveal an entirely different story. Cuneiform tablets from “Judahtown” (Babylonian āl-Yāḫūdu) offer insight into what life was like for ordinary Judahites during the Babylonian Exile. Photo: Avi Noam. University of California, Berkeley, Lecturer in Akkadian Laurie E. Pearce explores the evidence in her article “How Bad Was the Babylonian Exile?” in the September/October 2016 issue of Biblical Archaeology Review. According to Pearce, despite the melancholic tone of Psalm 137, life in Babylon was actually pretty good for many of the Judahite deportees. From Babylon to Baghdad: Ancient Iraq and the Modern West examines the relationship between ancient Iraq and the origins of modern Western society. This free eBook details some of the ways in which ancient Near Eastern civilizations have impressed themselves on Western culture and chronicles the present-day fight to preserve Iraq’s cultural heritage. According to the Bible, notes Laurie E. Pearce, King Jehoiachin was given special treatment—even over other imprisoned kings (2 Kings 25:30; Jeremiah 52:31–34). 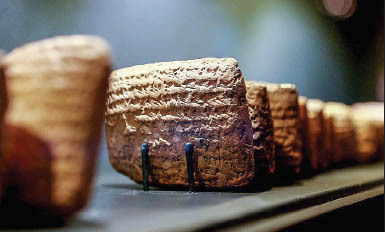 Moreover, cuneiform ration lists discovered in Nebuchadnezzar’s South Palace in Babylon show that captive kings and high officials received monthly rations of grain and oil. The lives of non-royal Judahites, too, are preserved in Babylonian records. Texts from Nippur contain the names of Judahites who served as witnesses in land contracts. The Judahite identity of the witnesses is revealed by their Yahwistic names—names formed from the Israelite divine name YHWH. The texts record the business activities of a family whose patriarch was an entrepreneur named Murašû. Since witnesses to contracts usually have the same social status as those engaged in the transaction, this would suggest, Laurie E. Pearce argues, that a number of Judahites were as successful as the Murašû family. Records from the city of Susa (Biblical Shushan, where the book of Esther is set) reference Judahites with Yahwistic names serving as royal courtiers, and in Sippar, a few Yahwistic names appear under the designation “royal merchant.” However, the majority of Pearce’s evidence that the Babylonian Exile wasn’t so bad is focused on cuneiform texts from in and around a settlement called Judahtown (Babylonian āl-Yāḫūdu). 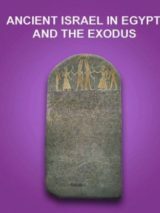 The evidence reveals a diversity of experiences for the Judahite exiles, and the picture of the Judahite experience in the Babylonian Exile that emerges is perhaps not as morose as previously believed. 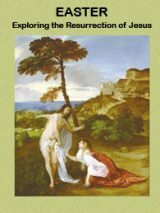 To learn more about the Judahite experience during the Babylonian Exile as gleaned through the Biblical and archaeological evidence, including the texts from Judahtown, read the full article “How Bad Was the Babylonian Exile?” by Laurie E. Pearce in the September/October 2016 issue of Biblical Archaeology Review. ——————BAS Library Members: Read the full article “How Bad Was the Babylonian Exile?” by Laurie E. Pearce in the September/October 2016 issue of Biblical Archaeology Review. This Bible History Daily feature was originally published on September 22, 2016. Bill T. Arnold, “Nebuchadnezzar & Solomon,” Biblical Archaeology Review, January/February 2007. André Lemaire, “The Universal God,” Biblical Archaeology Review, November/December 2005. Hugh G. M. Williamson, “Laments at the Destroyed Temple,” Bible Review, August 1990. There is a reason why the Book of Esther is the only book of the current Bible and Tenach that is not found among the Dead Sea Scrolls and why the Book of Daniel has been heavily edited by two different censors…. To me it looks more like a Babylon invasion than a captivity…. Look a Hollywood Babylon right now…. Do you think Harvey Weinstein is lamenting not being in Israel for the past 30 years? Maybe now he is….. I would love to know the answer. I descend from the Exilarch Rabbis who were brought to Europe to instruct the Jews who came there. I think it was Charlemagne who brought them. There is inconclusive evidence as to the exact number and percentage of Israelites or Judahites left in the land. Estimates of the numbers vary. However it is evident that the upper class or nobility were the largest number of deportees. The written documents primarily represent the activities of the upper class. As mentioned some of the written material shows some of the activities and perhaps a sampling of attitudes concerning living under captivity/deportation. Some of the deportees no doubt lost status and living standard. However it is unclear whether some actually benefited in status to their previous economic stature. It should be mentioned that no numbers are calculable concerning the numbers of deportees that returned when that option was afforded them. I have an acquaintance who was deported from Iraq during the wars after Israel’s independence the last century. His family lived in Iraq until the 50’s and 60’s of the last century. They opted to not return in ancient times. It is not clear either how beneficial it was for many decades financially to return to Jerusalem apart from the location of Jerusalem and the rebuilding of the Temple. This explains partially why many stayed in deported status. Great article as a whole. I would be careful of assuming the majority received the same fate as the few. Remember that attempts at assimilating certain Jews, ie. Daniel and his friends, failed likely because they knew at some time in the not so distant future that there would be a return to Jerusalem. It would take about a generation (70 years according to Jeremiah) and a fresh set of Jews would return but a relatively small number. It seems that some were assimilated because of the draw of business success with such families as Murasu and Egibi. Remember there were Jews who supported Hitler: https://en.wikipedia.org/wiki/Association_of_German_National_Jews but they were in the minority. The history of the Israelites is full of conflict between those for and against the conquerors. In effect they were shipped to Babylon. It’s like when they ship a person to Washington for employment. Very few people remain there upon retirement; all go back home or to a resort climate. Not everyone is suited to be a “follower”. It takes a lot of patience. Clearly the bulk of the Jewish population remained in the land of Judah during the so-called “Exile,” since so few actually were taken captive — but they remained politically powerless (e.g., they weren’t permitted to restore the Temple). When the royal elite lived out their lives in Babylon and eventually expired, there was still a religious elite, who were later assisted in returning to Jerusalem under Persian King Cyrus, who restored to them a measure of political power (e.g., they were empowered to rebuild the Temple and to consolidate and redact holy scriptures into the now accepted Torah). Likely others remained behind in the land of Babylonia even under Persian rule, just more in the general Jewish diaspora throughout the Middle East. So, on “returning” to Jerusalem, is it possible that many then “wept as they thought of” the Babylonia they’d left behind — and then returned to the land they’d been raised in for several generations? I do agree with Carolyn. And there were varied experiences, as mentioned in the synopsis above. Nevertheless, the article and further examination of what is known in archaeological and extrabiblical writings does help us to flush out the greater story and give it extra depth. Sounds interesting. The Israelites who went into captivity wouldn’t be human if they didn’t weep for their home city. After all Nebuchadnezzar had just destroyed their city and even worse he destroyed the temple of the one and only living God. In the book of Daniel we read that Daniel and some of his kin were taken into the royal palace to learn about Babylonian customs, astrology etc. So there were some that had it pretty good, but the majority were slaves in a foreign land. Life may have been very good for the Judahites in their exile; however, it would be natural for them to weep over and suffer depression from the exile and changes pressed on them due to the “new” culture/lifestyle.